Nissan has reiterated the need for collaboration among automakers, governments, and other stakeholders as key to accelerating electrification in the Asia and Oceania region. Speaking at a recent electric vehicle summit in Manila, head of Nissan’s electric vehicle business unit Nicholas Thomas said creating the right environment to enable customers to switch to electric vehicles (EVs) was paramount. More than one in three customers in the Philippines (46 percent) were open to the idea of buying an EV as their next car, research commissioned by Nissan and conducted by Frost & Sullivan in South East Asia shows. That figure jumps to 75 percent if government incentives such as taxes are waived, the research showed. Other incentives that would motivate customers include more charging infrastructure in apartment buildings, priority lanes for EVs and free parking. “What we are going to see is a crossover, a point very soon where battery electric vehicles are going to cross over with internal combustion engine vehicles, and battery electric vehicles are going to become cheaper,” Thomas told the summit. “That’s not far down the road, that’s already coming closer. If we want to accelerate that trend, that’s where we need some help from government,” he told government and industry officials, media and other stakeholders gathered at the summit. Nissan was taking part in the 6th Philippine EV Summit aimed at facilitating discussion on accelerating electrification in the region. The two-day summit, organized by the Electric Vehicle Association of the Philippines, focused on stepping up partnerships to electrify public and private transport in the country. Nissan announced earlier this year the new Nissan Leaf, the world’s best-selling EV will go on sale in seven markets in the Asia and Oceania region in the fiscal year. The markets are Australia, Hong Kong, Korea, Malaysia, New Zealand, Singapore, and Thailand. Nissan is also studying bringing the vehicle to the Philippines and Indonesia. Nissan has sold more than 350,000 units globally of the 100 percent EV since the first generation was launched in 2010. 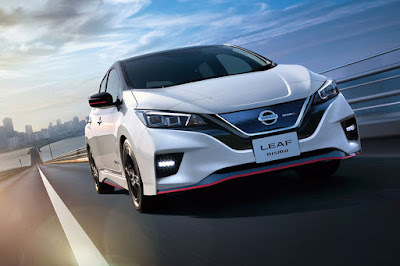 The second generation Nissan Leaf launched in Tokyo last year is packed with advanced technologies for a more confident, more exciting and more connected drive. These technologies are part of Nissan’s vision for the future of mobility called Nissan Intelligent Mobility. “We are leading the evolution of our industry through Nissan Intelligent Mobility,” Thomas said, adding that Nissan was committed to introducing globally a full range of EV vehicles by 2022. The global drive to reduce carbon emissions and air pollution in major cities, as well as a shift to renewable energies, is increasing take-up of EVs in many markets, particularly in Europe, Thomas said. The cost of EV batteries has also reduced in recent years and is forecast to continue falling, Thomas said. At the same time, the cost for automakers of complying with stricter emissions regulations for traditional ICE vehicles is rising.